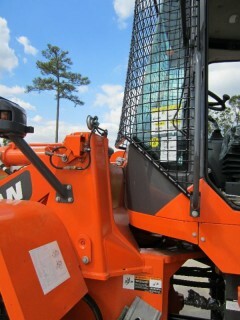 Imagine protecting the windshield of your wheel loader from flying debris and adding a layer of protection for your operator and your windshield. 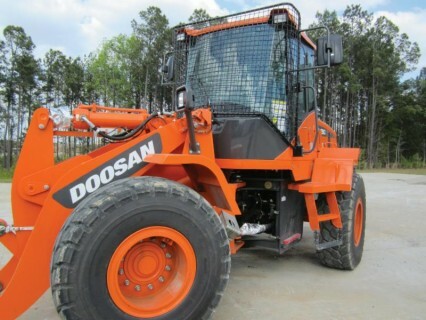 Because of the vast interest from wheel loader dealers, HydrauliCircuit Technology has developed the Doosan Wheel Loader Window Guard. Engineered and manufactured in our 35,000 sq. ft. facility in McDonough, GA, this product is now being introduced to the industry. 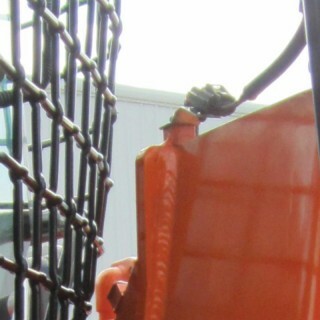 Only a few number of companies manufacture window guards for wheel loaders because of the challenges involved. The restricted area in front of the windshield, limited area for mounting the guard, and the asymmetrical shape of the window where the mesh is formed – all contribute to the difficulty. HCT’s exceptional engineering staff has surmounted these design barriers and our in-house manufacturing center allows us to diversify our product line to meet the specific needs of our customers.